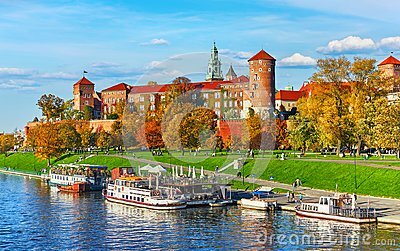 Wawel castle famous landmark in Krakow Poland. Picturesque landscape on coast river Wisla. Autumn sunset with white sky and cloud.